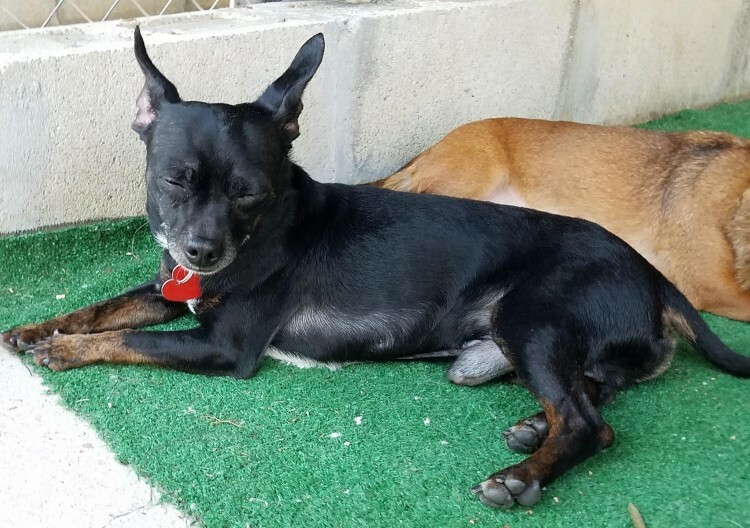 If you want a super affectionate lapdog who loves to cuddle, then look no further---Otis is your man! 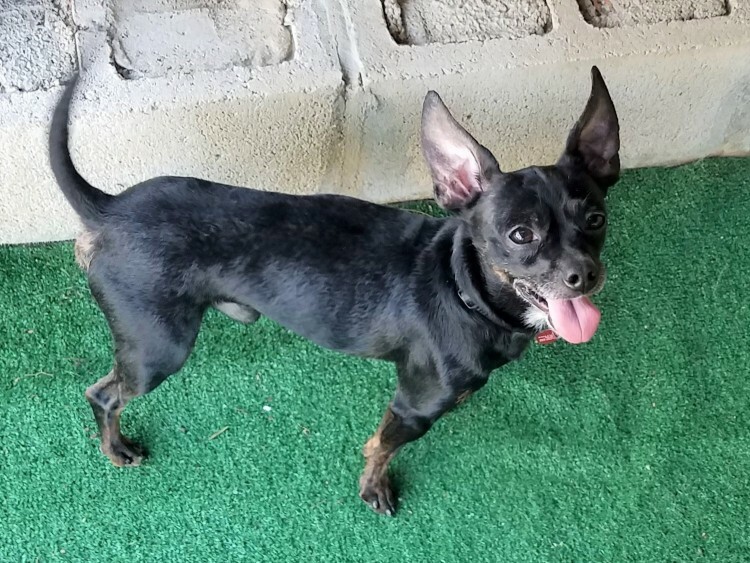 Otis is a 5-year-old neutered male Chihuahua who is a gorgeous jet black with a touch of white on his chest and hasbeautiful brown coloring on his feet.Not only handsome, he is sweet, well-mannered, and smart. 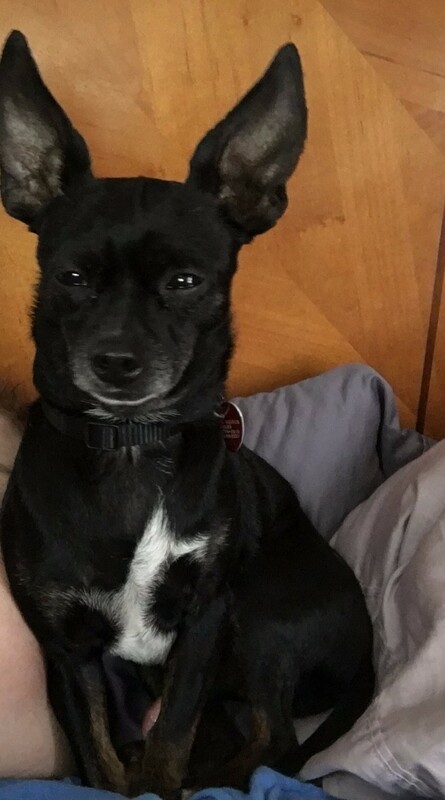 At just 7 lbs Otis fits nicely in laps and is most content when being held by his beloved human. 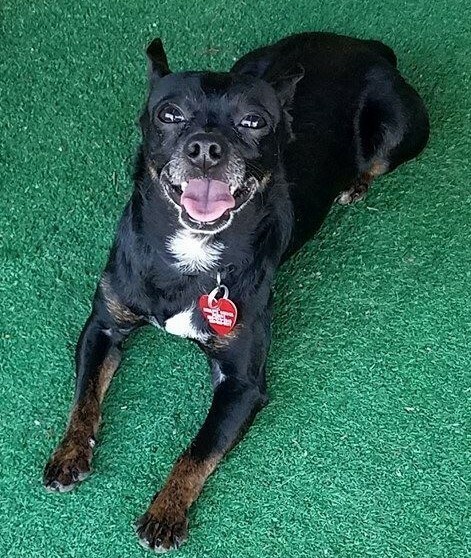 If you're looking to get a little exercise, Otis adores his walks too!While Otis doesn't bark a lot he's alert and makes a good watch dog.Otis doesn't do well with cats and large dogs, would be okay in a home with other small dogs, but would do best in a calm, adult home as your one and only because he'll love you so much he'll want you and your lap all to himself!If interested, please fill out an online adoption application. 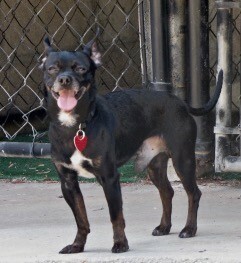 Otis' adoption fee is only $100! Otis frequently smiles and here he is displaying his pretty colors.